With this year’s PAX West rapidly approaching, this next bit probably goes without saying, but… Indie MEGABOOTH submissions are now open. Will there be more than last year’s 78 games from 18 countries this time? Heck if I know! What I do know, however, is that developers can submit their game from now – RIGHT NOW! – until May 3rd, 2019 at 11:59 PM PT; unless they don’t mind paying an additional fee, in which case the deadline is May 7 at 11:59 P.M. PT. Who has that kind of money lying around though? Oh, and be sure to read the FAQ. Not to brag, but fans, industry members, and press consistently highlight IMB as a must-see wherever we’re exhibiting. 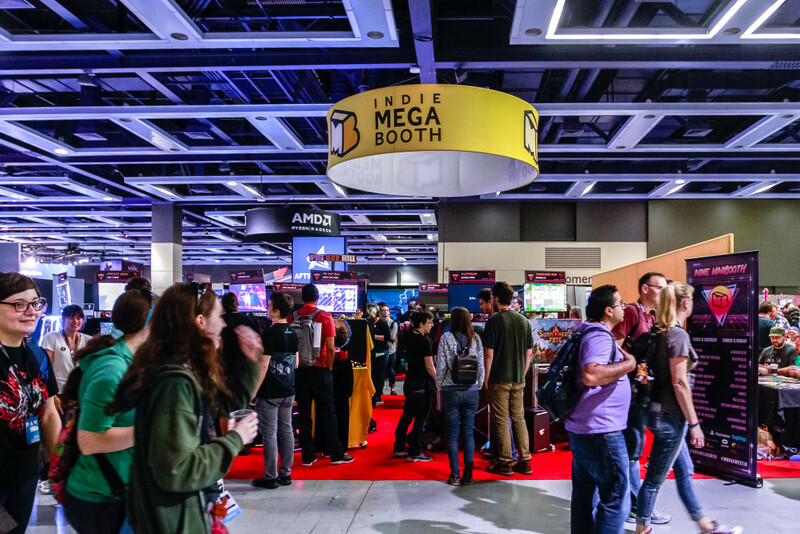 The entire thing (PAX West, Indie MEGABOOTH, Indie MINIBOOTH) will be kicking off on August 30th, ending on September 2nd, giving participants plenty of time to experience all the goodness. Then again – so many games, so little time! Maybe it’s not enough? Well, either way, don’t forget to watch the video below for Indie MEGABOOTH‘s PAX West 2018 highlights.